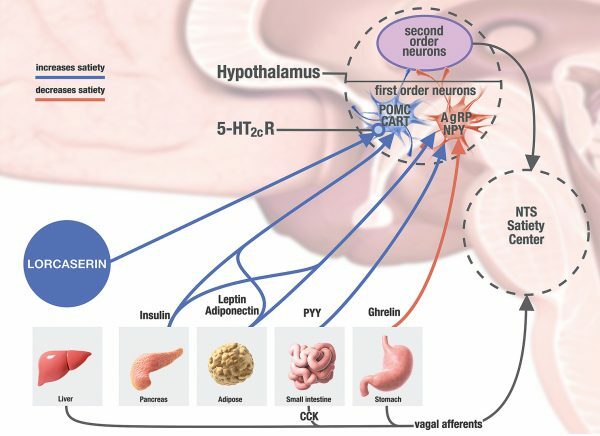 The cells in the hypothalamus communicate with cells in other parts of the brain to coordinate the release and uptake of chemicals that help regulate how much and what you eat. The hormones are released from the GI tract during food absorption and act to suppress feeling of hunger. 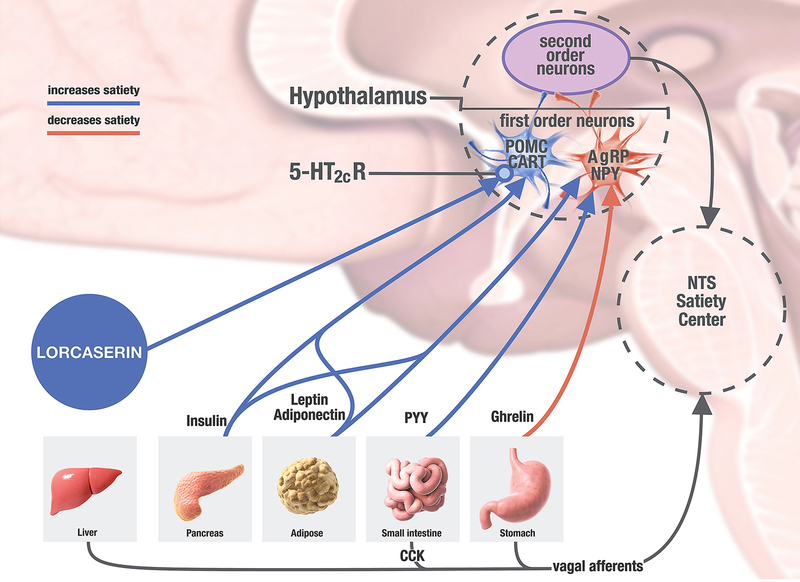 CCK is key in suppressing hunger because of its role in inhibiting neuropeptide Y. Glucagon and epinephrin levels rise during fasting and stimulate hunger. This educational medical illustration was created for MedicusNY.